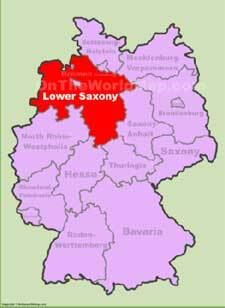 Lower Saxony is a Northwestern German state and second-largest in terms of area covered. The state is home to many beautiful and important German cities and is known for museums; that display the middle ages artifacts, gardens, medieval castles, and other gorgeous features. 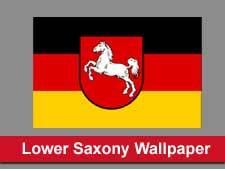 The name “Saxony” is derived from the ethnic German tribes of Saxons. Saxon was a powerful German tribe of the middle-ages which converted to Christianity. These people have a long-term history of commitment, loyalty, and wars. The state of Lower Saxony was created shortly after World War 2 and saw huge immigration from the former German territories. Lower Saxony has unique geographic features having mountains, rivers, and fertile plains. Going through the state, we can see beautiful small towns, rich landscapes, farmhouses, and hospitable people. The state borders other German States of North Rhine–Westphalia towards the southwest, Schleswig-Holstein and Hamburg towards the north, Thuringia and Hessen towards the south, and Mecklenburg–West Pomerania towards the northeast. The state also borders the North Sea towards its North. Agriculture, manufacturing, services, and mining are the primary economic sectors of the state. Agriculture has a good scope in the state due to suitable conditions and main agricultural are oats, wheat, potatoes, hay, cattle, pigs, and chickens. Manufacturing is mostly represented by the world renowned “Volkswagen” which has established five production plants in the state. Services sector include telecommunication, tourism, finance, etc. Christianity is the largest religious sect in the state while minority religions include Judaism, Islam, and Buddhism. A large number of immigrants or minorities are also living in the state e.g. Turkish, Polish, Syrian, and Dutch. Main Cropssugar beets, grains, etc. How do you find East West North South directions?